Fortunately, I have worked as an artist for a long time, and I have a small bit of stuff from when I was first starting. I am going to load some today. I just found an old 1967 magic marker drawing done when i was 17, from a memory I had during that time. 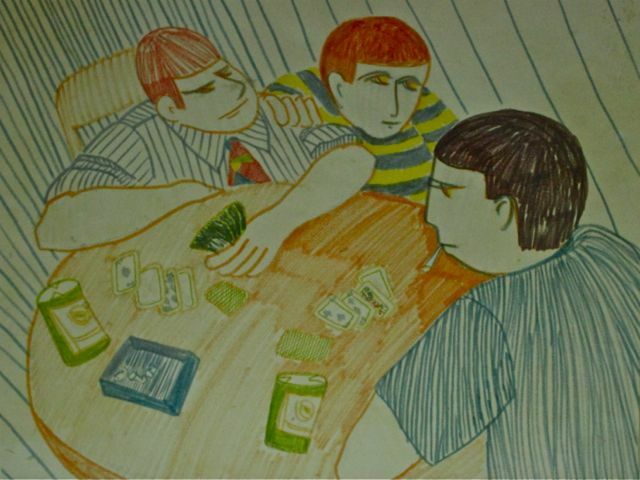 The memory was when I witnessed my brothers playing poker. Mom taught us card games like Cribbage, hearts and spades, poker and other stuff to help our math skills, memory and worldly samarts-you know, know when to hold or fold, call or see. So I watched my brothers get real serious playing 5 card stud. I learned a lot. First never play poker when you are drunk, because it makes you do dumb things, second, bluffing doesn’t really work if everyone is a sceptic. Third smoking in a closed room turns the air purple and takes your breath away. Finally, no one laughs when they loose money and no one gloats either. Not something that seemed interesting to me. Cribbage was my game. Let me introduce through my art my first teacher. Anatole Bilokur. 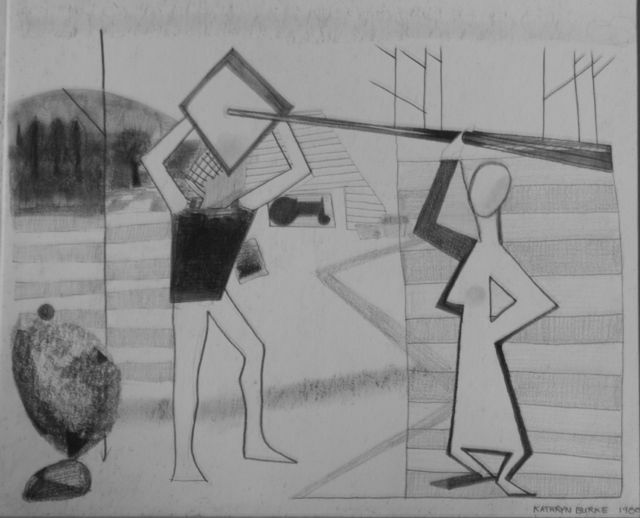 This is a drawing that was done in early 80’s. It was a memory of visiting Anatole Bilokur’s studio in Millville, NJ. 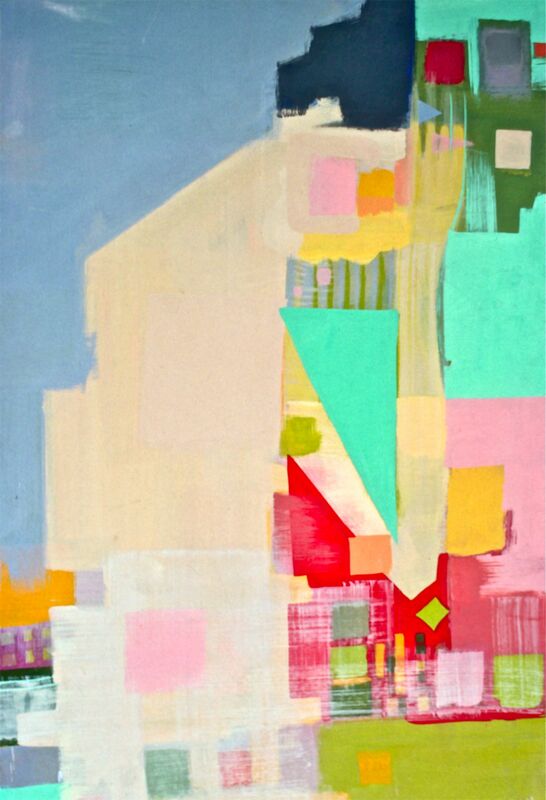 He was a graduate of Pennsylvania Academy of Fine ART in 1960-62. 9 years older than I. I found him fascinating. When I met him, in 1979, his work had taken on abstact elements. He was getting ready to have a show with Peter Max. I recall making fun of his odd waxed drippy stuff that I saw around his studio, he later made bronze casts of them. I was smoking pot with him, his home grown, and then all of a sudden I saw these horrid little wax drippings as elegant ballet dancers. I was flabbergasted. Elements of the farm life are added to make this memory a memorial of what I left behind when I came to Syracuse. It was there in his studio, smoking pot that I learned how to peal the veil from my eyes and could see. He was a great teacher. He created the right circumstance for me to look and see differently. I will write more on the subject of seeing and looking, the differences and the similarities. Lastly, I found a picture that I did in 1971 while I worked for IDO, met Sandy Schwartzberg and used a 000 rapidograph as a drawing implement. Back in the early days I never drew out what I was going to ink. I just started out with a line that evolved into a drawing. Although I threw out much more than I kept or sold, I learned where my weak areas were and worked on them. I always worked on some flaw more than I had fun drawing. Now I embrace my flaws and have fun. When one is too critical, there is no freedom in your creative energy. It is essential to turn the critic off in order to find the light and form of your own heart and soul. 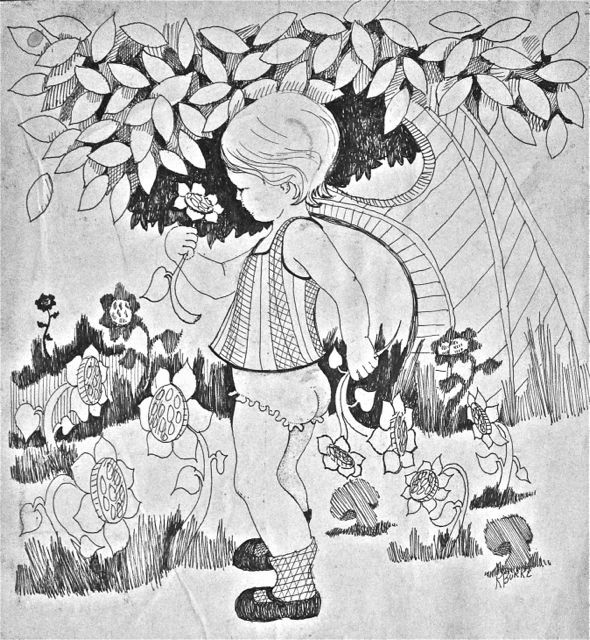 It is entitled, Little girl picking flowers. I still twist the torso like this. I guess no matter what, you are who you are and you draw like you draw. 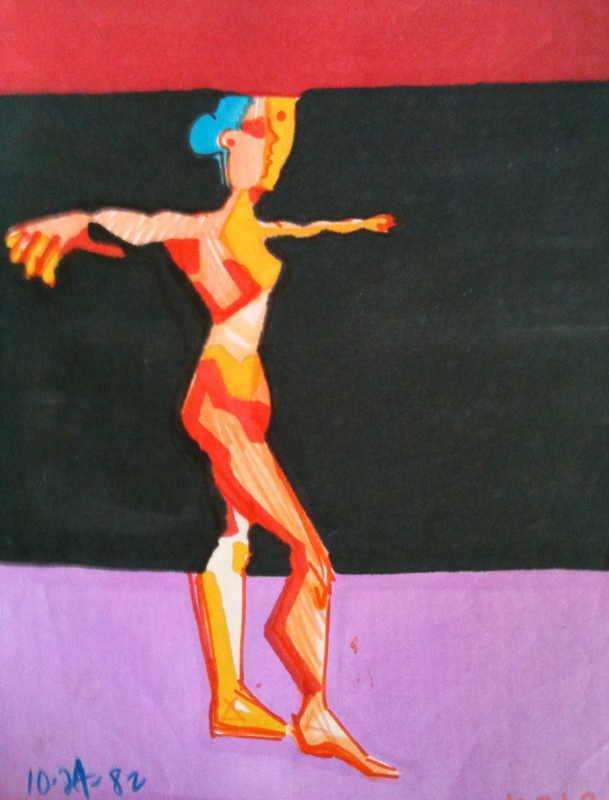 This is called BALANCE, I drew this with magic markers in 1982, just before I got married. You can read a lot into it with the caption I included. So have fun. Woman is balancing, like in a dance. to the left is death, to the right life and she is standing on spiritual belief while lust is baring down on her. This one is entitled Woman Thinking. My brother Andy told me he was 45 when he realized that a woman could be smarter than he. He was a genius. My husband saw life different after a woman beat his best marathon time, 2;19:24. I still don’t know why politicians like Romney and Ryan think woman are here to obey and let their men do the thinking. But then I am a thinker. This is an acrylic on masonite, approx 4x 3, and was painted after I married- 1984 I think. Currently it has a right lower corner missing as my dog, Zeus kept knocking it over when I used it to block a door. He also chewed up some art work. I loved that dog.